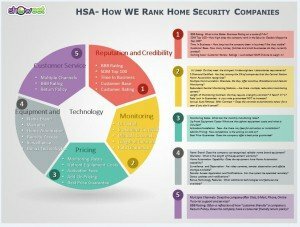 With so many home security companies in the marketplace, choosing the best home security company to help protect your home and family can seem a bit overwhelming. If you’ve narrowed it down to an ADT Monitored Security System and Protect America Security…you have selected a couple of our top rated alarm companies. In this Protect America vs ADT review, we’ll try to help you sort out which of these popular security companies works best for you. 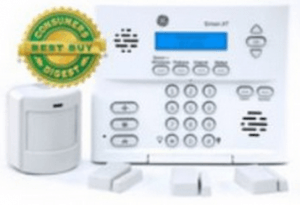 This ADT Monitored Security vs Protect America Review compares the most recognized professionally installed home security company with our #2 rated company, Protect America– the company that pioneered the professionally monitored Do It Yourself alarm industry. 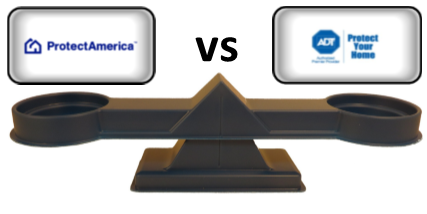 In this head to head comparison of ADT Monitoring vs Protect America, we’ll examine some of the key differences between two of the best home security companies of 2018….and see which one makes the most sense for your situation. In this comparative analysis, we will explore the similarities and differences in 5 separate categories. For the purposes of this review, each category is valued equally….but, you may assign a lessor or greater value, based on your needs. You can jump ahead to a specific category or area of interest by clicking on any of the links to the left. Reputation and Credibility – Who to Trust? This 20+ year old company pioneered the DIY wireless security industry and enjoys an A BBB rating. Protect America has been awarded the Consumer Digest Best Buy 5 times in recent years, and has consistently been in the top 15 companies on the SDM Top 100. Protect America has a strong BBB rating which is indicative of the company’s ongoing commitment to customer satisfaction. However, ADT Authorized Premier Provider systems are monitored by the #1 security company in the country- which is tough to beat. Both companies enjoy a favorable BBB rating, and extensive experience helping to protect homes, families and businesses but ADT Monitoring is practically synonymous with home security. Their stronghold on the #1 position on the SDM Top 100 for over a decade can’t be overlooked….giving them the edge in the first category. Both of these companies offer UL Listed, 5 Diamond Certified monitoring. This means they meet the highest industry standards and provide 24/7 protection against intrusion, emergency and personal safety, fire and environmental hazards. Monitoring rates run from $36.99-$58.99…..and are NOT guaranteed to remain the same after the first year. Protect America provides excellent 3rd party monitoring through a network of 3 Criticomm command centers-offering similar redundancy. Their basic monitoring package is truly an exceptional value at $19.99….and their rates are locked in for the life of the contract! While both companies include about the same equipment in their basic packages, the Protect America premium services also include a substantial amount of additional equipment which can be tailored to meet individual needs. Additionally, unlike the ADT monitoring services, which are only available to homeowners, Protect America makes all their packages available to renters as well. 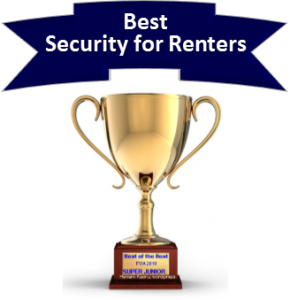 With substantially lower basic monitoring, premium packages that include additional equipment, and award winning services available to renters as well as homeowners….Protect America wins this round convincingly. Customer Service – What happens after the sale? With an A BBB rating, Protect America has a solid reputation and a 20+ year track record of providing superior customer service and installation tech support. This is an important consideration for a DIY security company. Simply put, the folks at Protect America know how to ensure a simple and seamless self installation….and how to keep their customers happy after the sale. 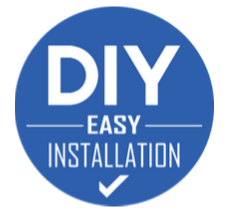 They even offer professional installation, for an additional cost, for those who are intimidated by the self installation process. However, they pre-program the systems and have such outstanding support that over 90% of their customers found the system easy to install. Unlike most companies that offer a one or 2 year equipment warranty (or require a $50 minimum “truck roll” fee on their “extended warranties”), Protect America has a LIFETIME Warranty on their equipment. While each of the companies offer quality customer service and similar BBB rating, Protect America gets a slight edge over an ADT Monitored System in this department with their 14 Day Return Policy and Lifetime Warranty. ADT Monitored equipment is manufactured by leading equipment suppliers and is professionally installed by the ADT Authorized Premier Provider. They offer a comprehensive equipment lineup to satisfy the needs of virtually any security situation. 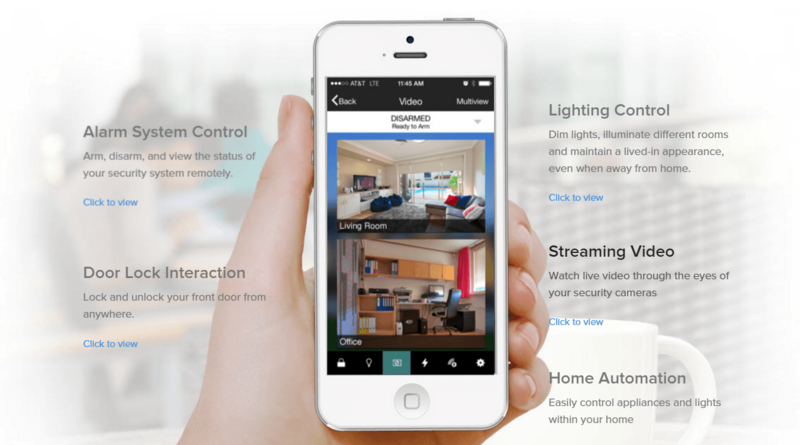 They have basic home security systems and ADT Pulse® for more sophisticated interactive home automation and third party energy management applications. Because they are using brand named equipment by some of the most trusted names in the industry, ADT monitored systems include the exclusive ADT 6 Month Service Guarantee (certain restrictions apply). Package pricing and the brand manufacturer often varies. However, the basic package pricing is usually competitive and carries the ADT 6 Month Service Guarantee (certain restrictions apply). 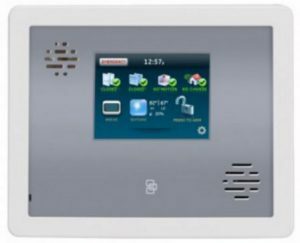 In most areas, there is a tremendous selection of equipment available to meet virtually any security or home automation requirements. However, even though advertised monitoring prices may start as low as $36.99, the equipment add ons, upgrades and monthly monitoring costs can add up very quickly as additional options are included. 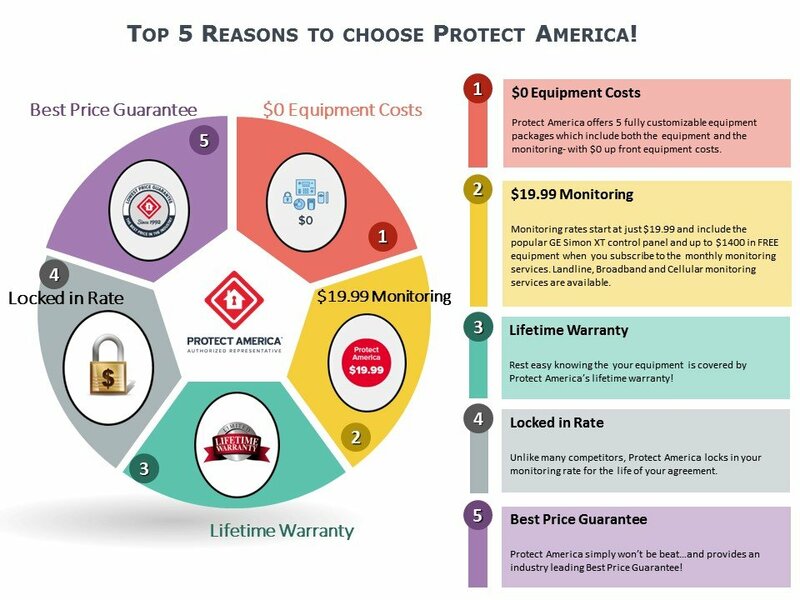 Protect America offers a wide variety of equipment packages that incorporate both the equipment and monitoring-with $0 up front costs. 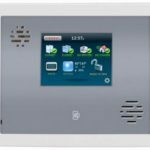 The Control Panel that is included in all packages is the GE Simon XT, a tried, tested and proven panel which offers 40 zones of protection, a 100 event history buffer, voice annunciation and a 2-way voice intercom. The basic Copper Package, a perennial Consumer Digest Best Buy winner, is available for $0 Down and just $19.99/mo.All equipment is provided by GE and meets the highest industry quality standards. They have recently introduced a new Touchscreen Control Panel- the GE Simon XTi. This panel is available as an upgrade on the Silver, Gold and Platinum packages. It has a touchscreen interface which is as easy to use as an i-phone and interchangeable face plates to match interior decor. GPS Vehicle Tracking- Plugs into the ODP port and allows you to monitor the speed and location of your vehicle on Google Maps. It can be programmed to notify you via e-mail or text if the vehicle travels beyond a prescribed area. While Protect America represents an exceptional value with their $0 Down pricing policy, their equipment technology selections are a bit limited compared to an ADT Monitored System. ADT Authorized Premier Provider – Protect Your Home gets the nod in this round, by a slim margin, based on their wider selection of advanced equipment technology. Price and Value – Best Bang for the Buck? While the ADT Authorized Premier Provider may offer reasonably competitive basic packages and rates, the ultimate costs may increase astronomically when it comes time to sign on the dotted line. Sure..the basic package may start at $99 for installation and as low as $36.99 for monitoring, but the prices may escalate quickly from there. 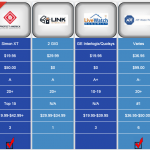 If you want their ADT Pulse interactive services (which enable you to control the system remotely through ADT’s portal on your desktop or through an app on an Android or IOS mobile device), cellular monitoring or home automation capabilities- there will be significant increases in the monthly monitoring rates as well as substantial up front costs to install the additional equipment that is required. Your monitoring rate can increase substantially …with advanced ADT monitoring packages running 58.99. Equipment costs can skyrocket. Professionally installed components are often 1.5x to 3X as expensive as their DIY counterparts. For many, this may become cost prohibitive as more comprehensive custom systems quickly become substantially more expensive. More comprehensive protection packages are available that can be fully customized to meet individual needs and preferences. All equipment is provided by GE and meets the highest industry quality standards. Monthly monitoring rates range from $19.99-54.99 depending on the equipment package and the monitoring services selected. In addition they offer a BEST PRICE Guarantee…making them the hands down winner in this category! 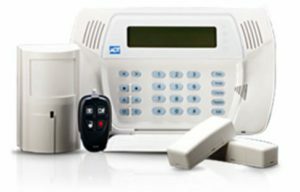 While ADT Authorized Premier Provider – Protect Your Home offers a competitive introductory program, with professional installation –Protect America wins this round decisively with their $0 up front equipment costs, substantially lower equipment and monthly monitoring rates…combined with a Best Price Guarantee and a Lifetime Warranty!! Both of these companies are among the best home security companies that you could select to help protect your home and family. When it comes down to choosing between ADT Monitoring and Protect America-it may come down to choosing between DIY and professional installation. Some people will not feel comfortable unless even a wireless system is professionally installed. For those folks, we recommend that you inquire about Protect America’s professional installation option in your area. For those who are on the fence, it is important to recognize that Protect America has streamlined the entire process so that the end user merely has to place the sensors and call in to activate. Over 90% of all customers find the system easy to install…and ultimately become more familiar with the use, features, functions and capabilities of the system when they are involved in the set up. And… for those who don’t want a stranger in the house and are willing to invest a few minutes to complete the process, there can be substantial savings and some benefits over an ADT Monitored Security System.. While they have a well deserved reputation for being THE #1 Name in the security business, ADT Monitoring is not the cheapest game in town….and Protect America offers an outstanding alternative for those looking for minimize up front costs and save a bit of money. At the end of the day, we feel that Protect America offers a better overall value for the majority of those looking for the best alarm company to protect their homes and family. When it comes to installing a home security system, many people think it is a complicated process that involves having to drill holes in walls and fish wiring. Nowadays, the vast majority of professionally installed security systems wireless alarm systems. In many cases, they are installing the very same systems that are being used by the Best DIY Alarm Companies. Frankly mounting the devices is simple- the majority of time that the technician spends in the home is typically “enrolling” (programming) the individually sensors into the system and waiting on hold to activate and test the system…during normal business hours-when all the other installers are waiting to do the same thing. The best do it yourself alarm companies such as Protect America send out your system pre-programmed and tested,,,so that all you have to do is mount the devices and call in to get the system activated. …which you can do at your convenience. So while most people feel it might be easier to just have the system installed by a professional..not only will you likely be saving some cash- but, you will find that that there are a number of other advantages you will gain by installing it yourself. Ultimately, ADT Monitored Security Systems appeal to consumers who value experience and name recognition and are looking for professional installation. Protect America is designed for the customer who appreciates quality customer service and is looking to save some money and get the best overall value. For more information on Protect America, get more details in our Protect America Review. Thank you for visiting. Please feel free to leave your comments and feedback on this ADT Monitored Security vs. Protect America Review, below.